This post is from doing the 13km return Mt Kosciuszko track walk early 2019. Starting of from Thredbo on the Kosciuszko express chairlift that takes you to the Eagle’s nest peak, this is the start of the Kosciuszko walk. It also houses a cafe, toilets and is the start of various MTB runs. The Kosciuszko walk path is actually very well done. The first stage to Rawson’s Pass is metal grate that sits elevated over the terrain, protecting the flora. This makes walking so much easier than a rocky, uneven path. The first stage crosses over some streams and you get a good view of rocky outcrops, the ramshead and hills. You will then come across Mt Kosciuszko lookout, here you can take good snaps of the towering mountains that lie ahead on the treeless terrain. Onwards from Mt Kosciuszko you will see Lake Cootapatamba in the valley below on the left. 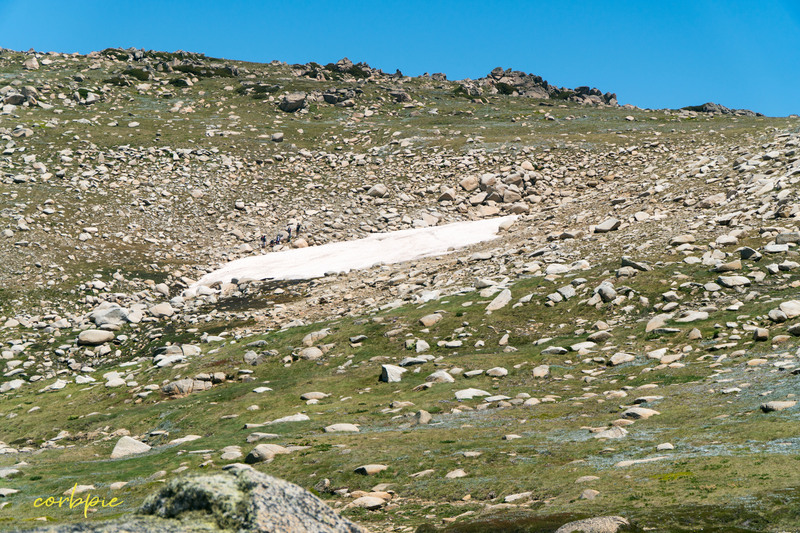 Snow in summer on Mt Kosciuszko ? From Rawson’s pass the track turns into a mix of flat gravel and some dug in rubber groves, not quiet the comfort of the metal grate but its an even surface which is a plus. On the left is Mt Kosciuszko and on the right has big sweeping valleys and the main range track the disappears of into the distance. The track gets steeper and you wrap around Mt Kosciuszko before finally getting to the top. The peak of Mt Kosciuszko is busy, at the normal times. An early start would beat the crowds, but midday in Summer its busy up the top. The view from the top is alright, not stunning due to the surrounding peaks smothering and being just shorter than Kosciuszko itself. The air is very chilled, whilst it would be 40 degrees celsius out of the mountains its was mid teens. Very refreshing from the walk up. The walk down and back to Thredbo opens up new perspectives, The terrain is so unique and on a nice sunny day hiking Mt Kosciuszko is a pleasure. Lastly enjoy your views of Thredbo as you head back down the mountain on the chairlift.